CrowdTangle can be used to track the coverage of your athletes, artists, and other talent. First, create a new Saved Search, and then click on "More Search Options" to help you refine your search. In the top search box enter the name of the person whose coverage you want to see. There is no need to put quotation marks around the name. If you would like to search for multiple names at once, you can put a comma between each name. If you're concerned that your talent's name will return false positives- coverage of someone or something aside from them- then you can use the "All of these words" box to help tailor the results. For example, if you're searching for a music artist, you may want to put "music" in that box to ensure you only return posts that include both your artist's name AND the word music. 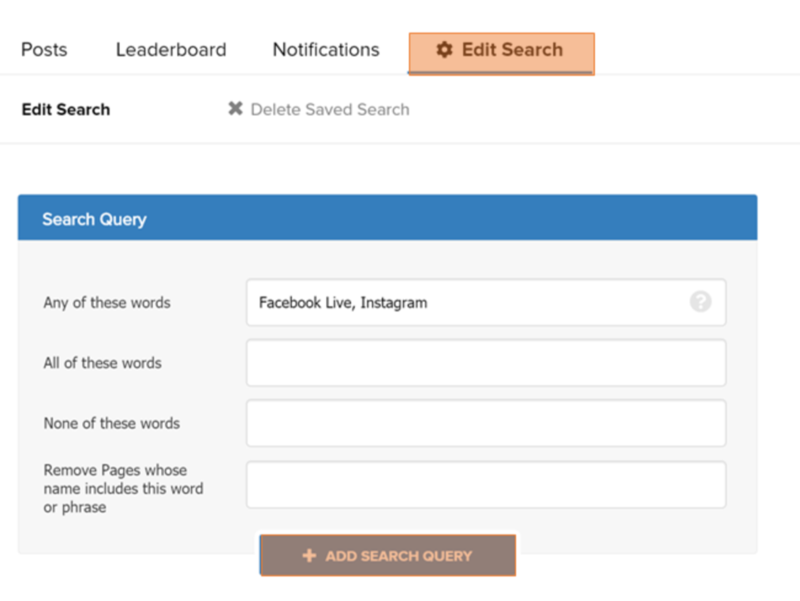 Once you're finished, clicking on "Save Search" will populate posts that match your search criteria and will also allow you to return to this Search in the future. For more information on filtering content and the Post tab generally, visit this article. If no content is showing up under the Post tab, first check the time filter to be sure it's looking at a suitable date range. Use the "Total Interactions" filter to prioritize content that with the highest number of interactions. 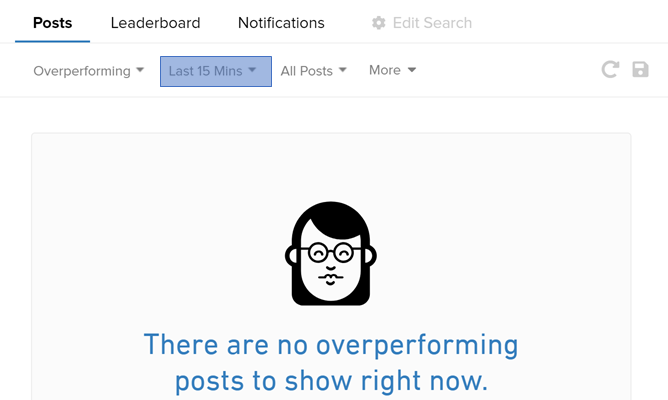 Alternately, you can use the "Most Recent" filter to prioritize content by time of posting. This would exclude any Pages that had either "Facebook" OR "Instagram" in the name. Search Within: None of These Lists/None of These Page(s): If you have already created a List of your own Pages or Accounts, you can use the "None of These Lists" option to exclude your own content. Alternately, you can use the "None of These Page(s)" option to manually list specific Pages/Accounts you want to exclude. If you need to track coverage of multiple people at once, you can can set up multiple queries. Once you have saved your search, you can click on the "Edit Search" tab and then add a new search query. 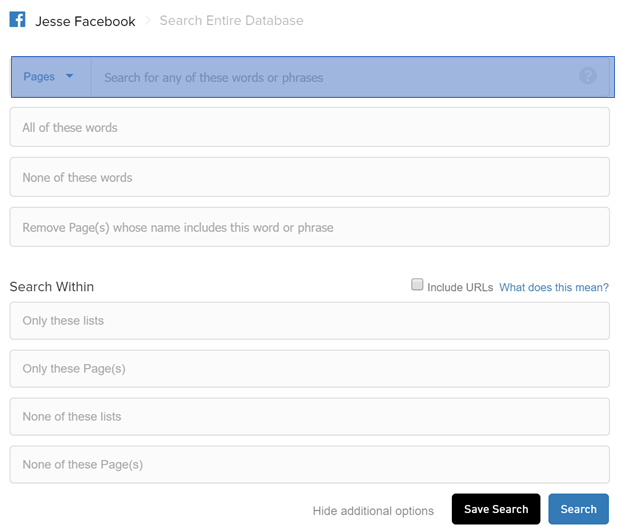 This will allow you to stack multiple complex search queries in the same Saved Search.